The Jersey Four will take you on a journey from the very beginning of The Four Seasons Number #1 Hits – Frankie Valli`s solo career –to present day Four Seasons shows. 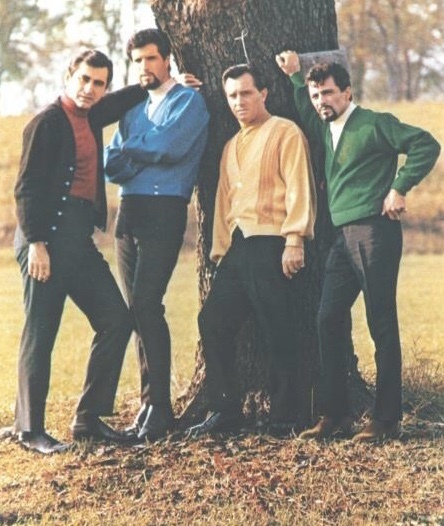 SHERRY, BIG GIRLS DON`T CRY, RAG DOLL, WALK LIKE A MAN, and WHO LOVES YOU are just some of the many hits you will enjoy from their great collection of songs from those four guys from Jersey. The smash hit musical “The Jersey Boys” which opened on Broadway, November 6, 2005 is based on one of the most successful 1960`s rock and roll groups of our time. The Cast of The Jersey Four is an explosive tribute to Frankie and The Four Seasons, which recaptures the original hits from the musical as well as many other Top 10 songs that are not featured in the Tony Award winning hit. This includes SWEARIN` TO GOD, GREASE and many others! Along with all the recognizable tunes, The Cast Of The Jersey Four incorporates trivia, stories about The Four Seasons, humor, audience participation and encourages you to sing-a-long with their fabulous cast. Inducted into The Rock and Roll Hall of Fame in 1990, Frankie Valli and The Four Seasons continue to entertain both young and old with their unique style of singing and song writing. The Cast of The Jersey Four (who are all accomplished singers and musicians from Jersey) stay true to The Four Seasons music. The Cast of The Jersey Four`s interpretation of these classics along with their unique vocals, fabulous stage show, The Jersey Bounce Horns, authentic costume and musical equipment (Fender-Stratocaster, Gibson-Firebird & Thunderbird) guitars, Fender Amplifiers, Ludwig & Gretsch drums recreate that famous sound of The Four Seasons. The Jersey Four is proud and honored to have one of the original 4 Seasons Joe Long (LaBracio), who was the bassist and vocalist from late1964 to 1975, as our Music Director. During his tenure with the Seasons Joe recorded such hits as Opus 17 (Don’t You Worry ‘Bout Me); I’ve Got You Under My Skin; Tell It To The Rain; C’Mon Marianne; Beggin; Can’t Take My Eyes Off You; And That Reminds Me and I Make a Fool of Myself. 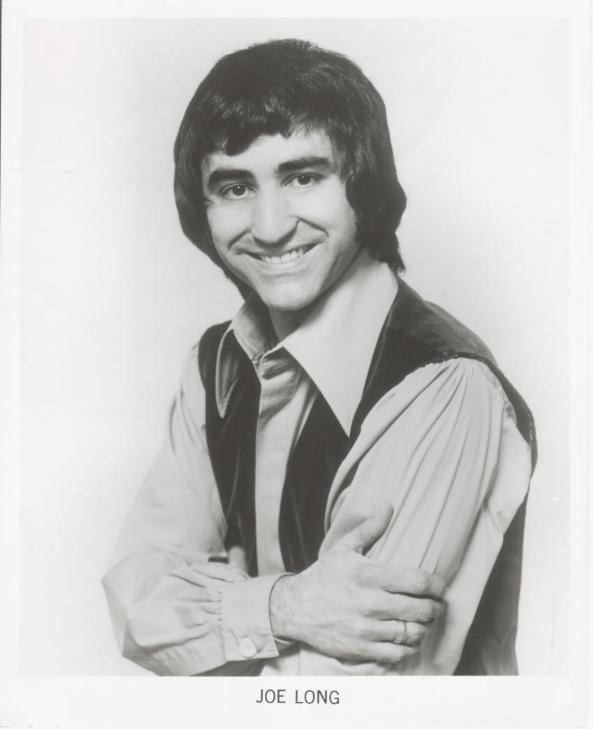 Joe also appeared on America’s top popular Music Shows such as American Bandstand; The Ed Sullivan Show; Hullabaloo; Shindig and Solid Gold. During his time with the Seasons he also appeared on iconic stages such as Carnegie Hall, Radio City Music Hall, Royal Albert Hall in England; including a tour with Frank Sinatra … just to name a few. 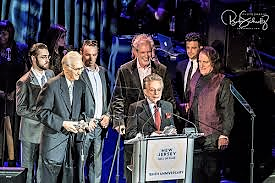 Some of the most memorable honors bestowed upon Joe were when in August of 2014 he was honored by his hometown city of Elizabeth, NJ designating a street name after him called “Joe Long Way.” On May 6, 2018 Joe, along with the original members of the 4 Seasons were inducted into the 10th Anniversary of the New Jersey Hall of Fame. 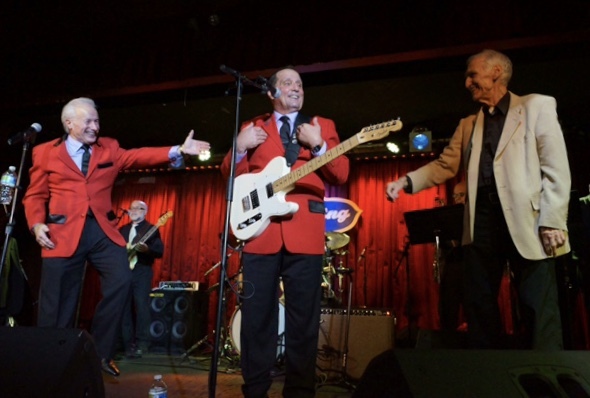 On occasion, Joe can be seen appearing on stage with the Jersey Four at various venues across the Tri State area.